That Dan Porter should allow a serial commentator on his site, one with no blogsite of his own, and unable for one reason or another to provide links to a published model – any model – to make baseless charges time and again against a senior investigator like myself, albeit long retired, is quite simply unacceptable, totally unacceptable. … here’s a graphic I made yesterday for which there’s an immediate use on shroudstory (by way of emphasizing the difference between the scientific method, and the pseudo-scientific method that attempts to ape it. Beware pseudo-science. It’s worse, much worse, than cherry-picking to support a case. It’s more akin to cherry jam manufacture! 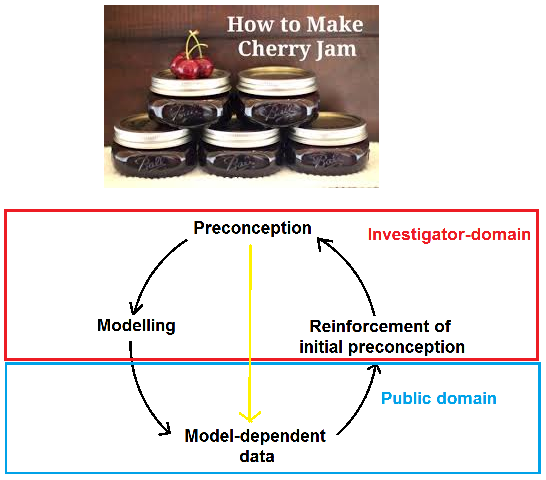 And one cherry jam manufacturer has the nerve to accuse this retired scientist (with three published models under his belt, one highly cited and attracting patent applications) of plagiarizing his idea! Why? Because he used words like “alkali”, “fumigation”, “mordant”, “compression”, “paste” etc. As I say, I shall give a brief summary as to how I came to deploy those words in the course of my post Machy-mould modelling, and did so as a series of practical experiments, all reported in real time here or on my sciencebuzz site. That Dan Porter should allow a serial commentator on his site, one with no blogsite of his own, and unable for one reason or another to provide links to a published model – any model – to make baseless charges time and again against a senior investigator like myself, albeit long retired, is quite simply unacceptable, totally unacceptable. Is the Shroud the Inspiration for the Holy Grail Legends? Grail, Holy. The "Holy Grail" is a dish, plate, stone, or cup and is part of the Arthurian (King Arthur and the knights of the round table) legendary literature. But historian Daniel Scavone, professor Emeritus of history at the University of Southern Indiana, has shown that the Shroud of Turin is the real object that inspired the Holy Grail legend…. It is an interesting idea. I’ve heard Dan talk about the idea a couple of times. A more recent paper on the subject, Edessan sources for the legend of the Holy Grail is from the Frascati conference in 2010. And here is an interview that Russ Breault conducted with Dan Scavone back in 1999. 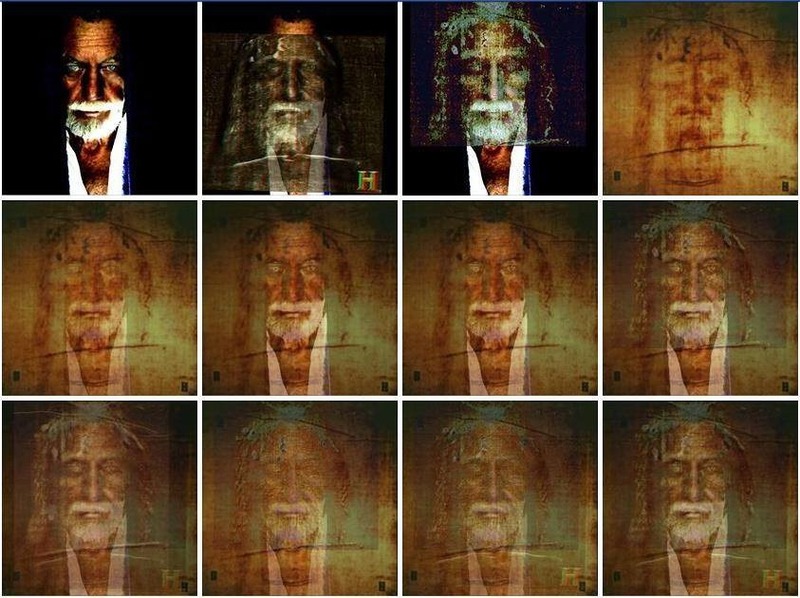 A 71-year-old Australian preacher has recently been making news with claims that he is the reincarnation of Jesus Christ, by comparing his image to the face imprinted in the famous Shroud of Turin. The preacher reportedly convinced an American man to sell his home, abandon his family, and go follow him. The preacher has also claimed that Pope Benedict XVI backed his case in a letter, but retired before making an official proclamation. Daily Mail Australia reported on Monday that the preacher, Brian Leonard Golightly Marshall, who lives in Toogoom, Queensland, has for years been making the claim that he is Jesus, and has even shared the supposed letter where Pope Benedict admits of the resemblance between his face and the Shroud of Turin imprint. "You see, many days ago Mr. Brian Marshall sent me photographs of Him and the Most Holy Shroud of Turin — he actually looks so much like that of the Holy Image on the Shroud," the alleged letter from the retired pontiff reads. "There is no other explanation. He is simply the Lord Jesus Christ Almighty! I was so penetrated with love and compassion from God that I requested the photo I saw to be put in a place of honor somewhere. He is the Most Royal Man Alive, The King of Kings. … The Messiah, Almighty and Everlasting," it continues. There is no record of Pope Benedict or the Vatican ever mentioning Marshall in public speeches, however, and there is no way for the alleged letter to be verified. The preacher has claimed that Benedict planned to make the affirmation in March 2013, but was foiled by Pope Francis, who Marshall called the "anti-Christ." The Daily Mail also shared the story of a man, who wasn’t named, who said that his American father-in-law left behind his wife, children and grandchildren, to go to Australia and live with Marshall as a follower. "He believes this guy, Brian Leonard Golightly Marshall, is Jesus Christ. He told his wife that he’s going to go to Australia to be with him. Leaving her and his kids and grand-kids to go be with this guy," said the man, who lives in California. I mean, really, if you are down under and upside down all day, it is understandable.